8Rental has made vehicle and chauffeur renting in Europe as easy as ABC. By making a few simple steps, you will have a lux car or a capacious van at your full disposal wherever you travel in Europe. To hire a chauffeur driven car in Switzerland, you just need to get a quote and fill it out. What you need to state is the journey type (mention whether you plan a single, return, hourly or a specified tour), the start date and time, both the pickup and destination addresses, the number of passengers you are going to travel with. The next step is choosing the vehicle type and class. If you need an additional service (we can meet you right at the airport or the railway station, provide with extra car amenities, etc. ), it's high time to state it. By the way, you can choose the language your driver is to speak. 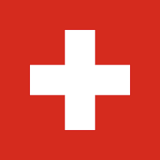 As you know, there are four national languages in Switzerland. These are French, Italian, German and Romansh. Besides drivers mastering all these languages, we can provide you with English, Russian, Dutch and Spanish speaking ones. After all these are stated and you have no specific requirements, it's time to complete your personal details. Besides writing down your name and surname, don't forget to leave your email and contact number. What can make your transportation in Switzerland safe if not 8Rental's drivers and premium vehicles? 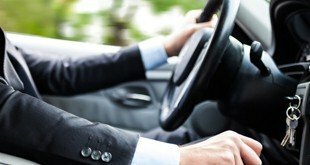 We have employed some of the most trustworthy chauffeurs in entire Europe to satisfy our clients' expectations. These are all licensed, experienced and responsible drivers who won't ever let you down. They know all the roads and directions in any city of Switzerland you are traveling in. Be sure, booking a vehicle, you are in safe hands with 8Rental!Besides reliable drivers, we are also "armed" with truly amazing vehicles of different sizes and makes. For traveling with your family, we shall advise hiring a standard Mercedes Viano or a Sprinter minivan. Besides being quite capacious, these minibuses are powered with all the specs you may expect from a minibus. And if you need an even larger vehicle for organizing a tour in Switzerland for a huge group of tourists, why won't you rent a Mercedes Tourismio coach designed for driving up to 65 people?! This is not only an immense but also a highly equipped and stylish bus. Every minute spent inside this bus is a mere pleasure! Carpeted floors, tinted windows, reading lights, always cold water and juice in the fridge, clean toilets, fresh coffee, cool air due to a well-working air conditioning, and a series of other specs are available to our clients who book a bus. Nevertheless, if you are heading alone to Switzerland on business or leisure, 8Rental can offer you a number of amazing cars on different prices. Counting on your budget, just as your personal taste, you can pick up the most suitable model and get pleasure from your riding in the city. Hire a car with drive in Switzerland from 8Rental car supplier and feel what it means to be serviced on the high level. Get What You Are Worth Our service has been acknowledged as one of the most reliable ones in entire Europe. We owe our success not only to our skillful drivers but also to other workers. Our CS operators are available 24/7 to receive your calls and quotes, answer all the questions bothering you, carefully listen to all your remarks and wishes.8Rental is ready to provide its customers with a few surprises. These are free fuel, medical insurance, some optional stuff in vehicles such as TV, baby car-seats, etc. If you book the vehicle prior to leaving for Switzerland, you have the chance to be met right at the airport. 8Rental can send its cars and drivers to Basel Airport, Geneva Airport, Bern Airport, Zurich Airport, and others. Just the same way, we are cooperating with railway stations and sending our cars there to meet our clients. 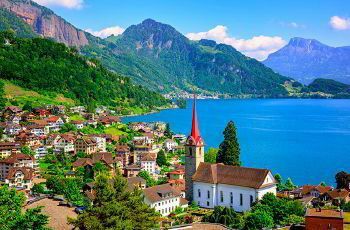 Switzerland is a fascinating European country with over eight million population. Most of all, tourists are attracted by the fresh air and indescribable nature. There are over two hundred peaks here that captivate with their might, big clear water lakes most known of which are Geneva, Maggiore, Constance. There is so much to see and admire in this country, that you need to devote at least a couple of weeks to discover all of them. Appearing here, you feel like being in several different countries at the same time. 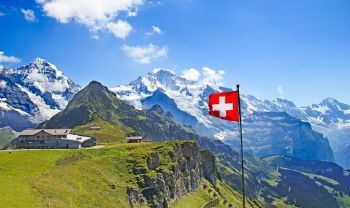 Be sure, you will fall in love with all of them!Renting a vehicle with driver in Switzerland, remember to visit the Matterhorn, Jungfraujoch, Lucerne, Chateau de Chillon, Montreux, the capital Bern, marvelous Zurich, the amazing Rhine Falls, and others.